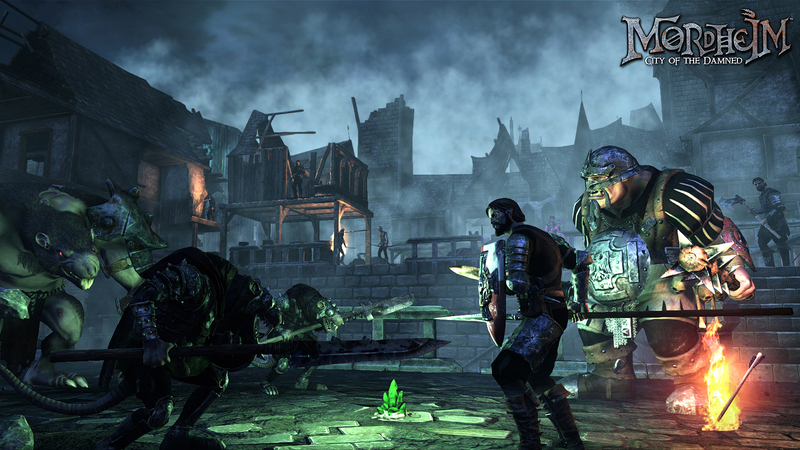 Mordheim concerns exactly the same sort of Germanic cityscape as Vermintide’s Ubersreik. Same green gloom hanging over proceedings, same anthropomorphic rats running about the place – but very different perspective. This is a tactical tabletop adaptation with XCOM-style squad persistence. That persistence is really coming into the frame now City of the Damned has clambered out of Early Access, doubling the length of its single-player campaigns in the process. Prefer your PC games thoughtfully-paced? Play one of our best strategy games. Statues and temples dedicated to Sigmar didn’t do much to dissuade the gigantic comet that blew Mordheim to oblivion in his name. Ever since, warbands have struggled for dominance among the cobbles and quaint, angular roofs, scrapping over expensive wyrdstone fragments. Now the game’s finished, warbands can level up to 10, and the four single player campaigns for each side – The Cult of the Possessed, The Sisters of Sigmar, the Human Mercenaries from the Empire and the Skaven from Clan Eshin – now have two acts, totalling eight missions for each. That’s probably the best place to start. Mordheim is comparable to Blood Bowl in terms of depth, and you’ll want to wrestle with Games Workshop’s ruleset for turn-based encounters in private first. Or perhaps you have already in Early Access?